Here I am in the capital of the Emilia-Romagna region of Italy and the food item you'll see just about everywhere is Piadina. 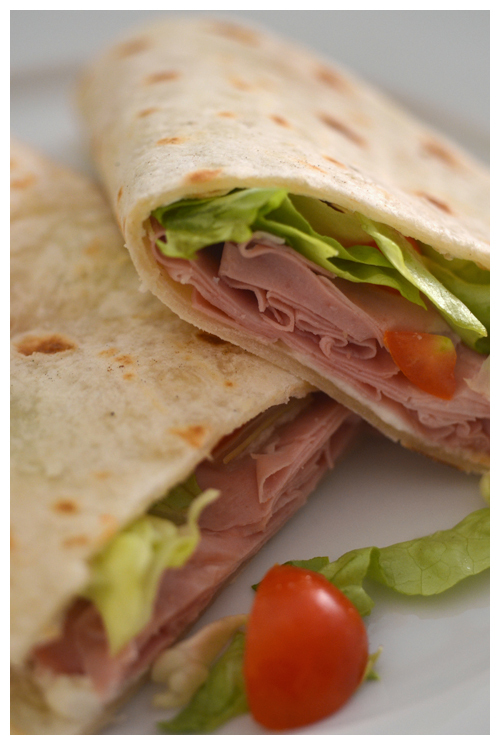 Piadina is the unleaven flatbread of the region and I have made it for this blog back in 2006 (gosh, time flies). While I make a pretty good version of it back in Australia I'm curious to see how it compares with the "real version". 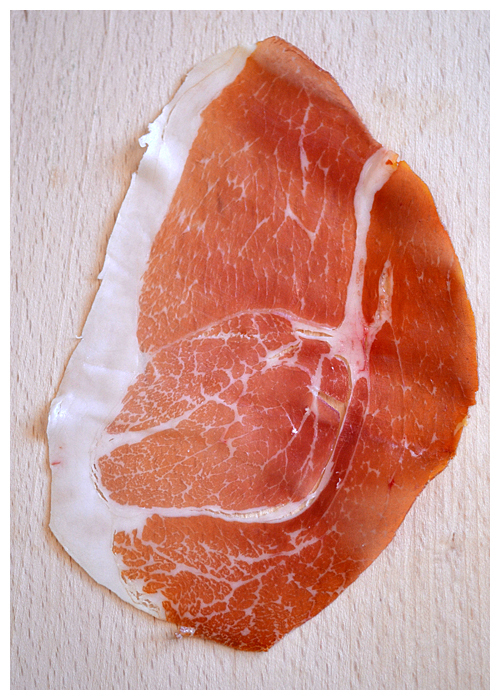 Where regular Prosciutto uses the whole thigh, Culatello only uses the inner core or "heart" of the thigh - this makes it a lot smaller than your typical Prosciutto and therefore more expensive. This particular Culatello had the most divine aroma, the meat itself had nutty notes and that outer layer of fat just dissolved in your mouth. 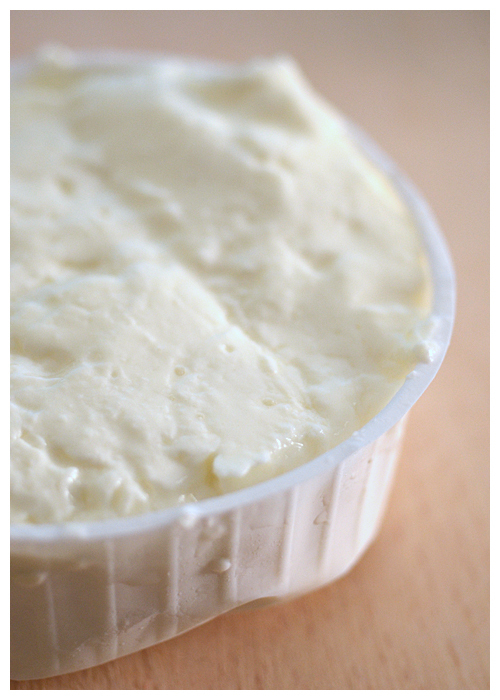 Loosely structured - it needs the container to keep it from just spreading out - it's fresh with a slight acid taste. 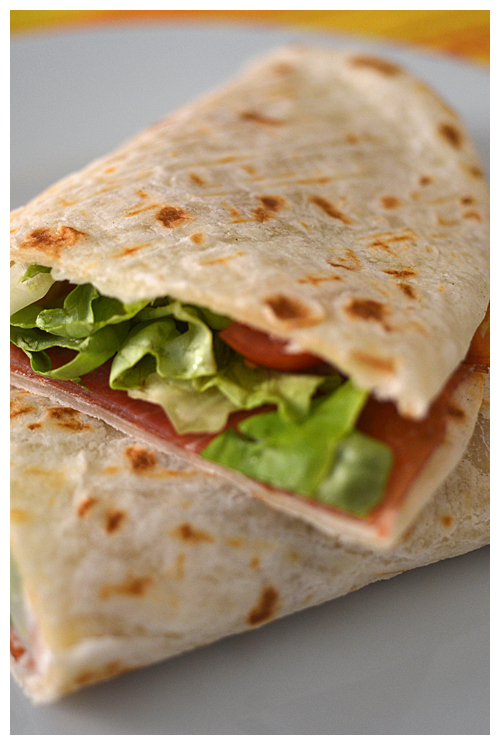 To assemble the Piadina - make sure you have all ingredients ready as speed is important. You'll need to first heat up the bread - a grill pan is perfect - you want the bread warm but not too warm that it becomes hard and can't be folded. 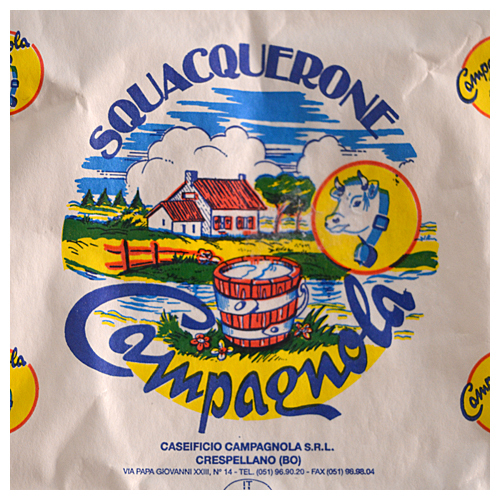 Once you've warmed both sides - spread half the bread with Squacquerone, top this with the Culatello followed by, in this case lettuce and quartered cherry tomatoes. Fold it in half, then cut into two and serve. It's hard to believe that something this basic can be so insanely good. The warmth of the bread seems to accentuate the flavour of the culatello and the tang that comes from the Squacquerone is just sheer perfection, combine it with the crisp crunch from the lettuce and sweet acidity of the tomatoes and you have something that would make it on that "last meal" list. 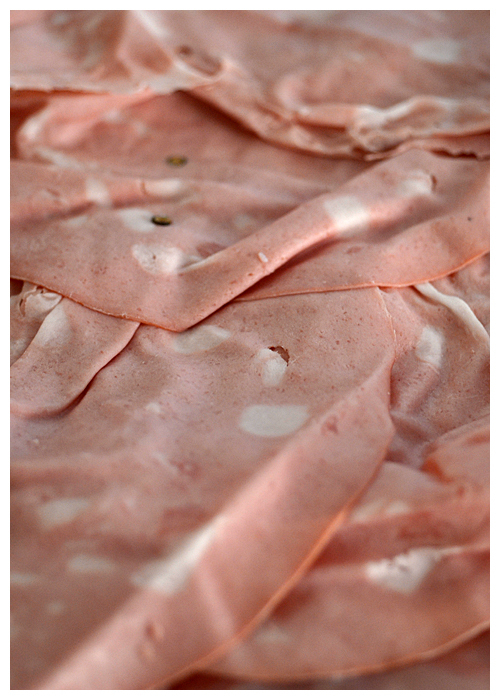 I know people tend to look down on Mortadella but I think that really is unfounded. When you're in Bologna and it is this fresh and this good, it really is hard to beat. Very nice! Have you had torta al testo in Umbria? If not, I hope you'll try it. 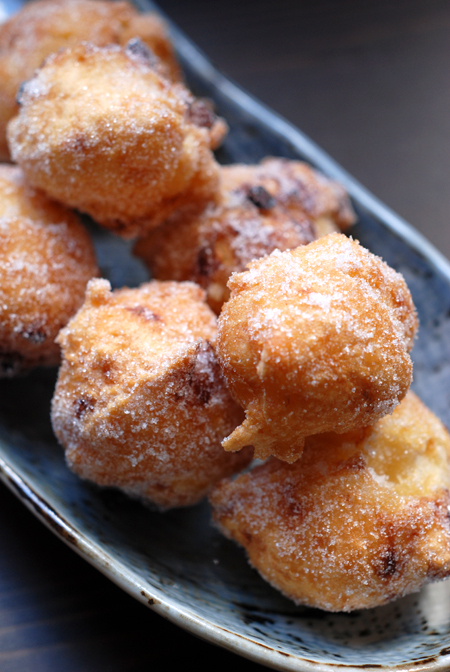 Haalo, you are surely enjoying one of the most typical, well-known and gorgeous Italian food! Thanks Simona - not sure if I've had that, will certainly keep my eye out for it! Thanks Cinzia - oh yes I discovered Strolghino in Alba, unbelievably delicious and have had some here as well.